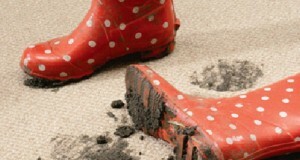 Carpet is always a good way to go if you want to get the most out of your flooring. They protect the floor surface and enhance the appearance of any space. They can also prevent slipping and therefore make the space less hazardous, and this is exactly why you need to get a good carpet for stairs. However, it’s important to go for something that stands out, yet still blends in with the theme of your house. 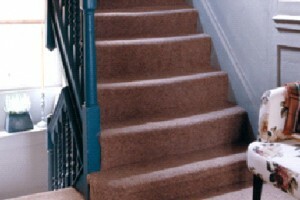 Our quick guide can help you make the right choice when it comes to buying the right carpet for your stairs. The cushioning on your stairs is very important, as it not only makes the staircase look plush, but also adds an extra layer of comfort to your home. The good thing is that no matter your style, you can get the right carpet for your staircase to suit your taste, so, be creative! Your stairs are a high-traffic area, so you have to think about durability when choosing your carpeting for this location. You want a carpet that can withstand the weight from frequent exposure to traffic and you also want something that will stay in place for a while from the time of installation. However, you don’t necessarily have to go for the most expensive carpet to help you deliver this functionality. Just choose the one that is best for your home’s needs. That is the best quality carpet for you. Some carpet is made using synthetic fibre, while there are some that are made from natural material. Therefore, before getting the carpet for your stairs, think about the kind of material and colour you want. Nylon carpets are soft, durable and stain resistant, which is why they’re so popular. Polyester and wool carpets are also good alternatives. However, if you live in a busy household where there is a higher likelihood of stain accidents occurring, you may want to stick with nylon. Before buying the carpet for your stairs, you’ll need to measure the space so that you have the correct dimensions in mind. If the stairs are open on both sides and you need a carpet that can be wrapped around the edges, make sure you factor this in when getting the measurements. However, if you want the floor covering to be neatly tucked in to take the shape of each step, it’s best to work with professional installers since this is probably the only way to achieve that outstanding look. The carpeting for your stairs says a lot about you. The good news is that you’re not limited for choice. Bear these factors in mind before getting your carpet and you’ll get the right carpet for your staircase! Categories: Bedrooms, General, Home Improvement, Interior Design, Shopping.